It was gloomy and sad moments for all the supporters of Chike Obidigbo and Chief Maxi Okwu as the Supreme Court threw out the ap­peal brought by Chike Obidigbo asking it to declare him the governor of the state on the strength that he was allegedly nominated by the Maxi Okwu faction of the All Progressives Grand Alliance (APGA) as its gu­bernatorial candidate for the November 2013 governorship election in Anambra State. The former Governor of Anambra State, Mr. Peter Obi has called for the declaration of state of emergency on Education. Obi spoke yesterday at the Muson a Centre, Lagos, during the 105th anniversary of the founding of King's College, Lagos, where he was invited as a Special Guest to share experiences on how he was able to turn education around when he was the governor of Anambra State drawing from the fact that from near failure before he became Governor, now takes first position in external examinations. I imagine the general enthusiasm in Anambra’s political and governance climate will permit no discerning reader of Elombah.com to take seriously a recent absurdity, pushed forth as investigative report on September 7th, in which the person and government of Willie Obiano was portrayed as wasteful. Yet it might not be out of place to invite Elombah to explain the blog’s obsession with Willie Obiano and his government. As part of efforts of his administration to meet the deadline of digitalizing broadcast media in Nigeria by 2015 and facilitate information dissemination in Anambra State, Governor Chief Willie Obiano has signed the contract for the modernization and digitization of the Anambra Broadcasting Service (ABS) to lift the establishment from the doldrums 23 years after the creation of the State. The Ogun State Governor, Ibikunle Amosun, on Wednesday shocked citizens and residents of the state when he said his predecessor, Gbenga Daniel, is not an indigene of the State. 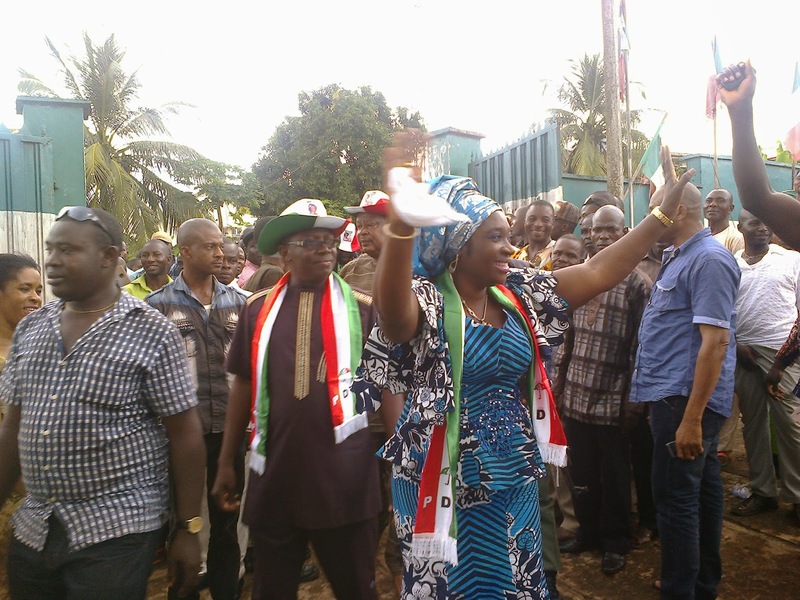 Mr. Amosun made the shocking claim during his working tour of Odeda local government area where he also indicted himself as being one those who assisted Mr. Daniel to falsify records and claim indigeneship of Sagamu at the time he wanted to contest the governorship seat of Ogun state in 2003. “They came to us then, we were the ones they ran to and we helped them to get where they are claiming today as their home,” Mr. Amosun said. Top Comedian, AY, is staging his Comedy and Music Event, AY Live, in Port Harcourt on Sunday, October 5. Officially sponsored by Maltina, AY Live – the Happiness Edition will hold in the Garden City at Aztech Arcum, Stadium Road, Port Harcourt and showtime is 6pm. Comedians confirmed for the event include I Go Dye, Gordons, Seyilaw, Helen Paul, Acapella, Akpororo and of course many other hilarious dudes. Runtown, Humble Smith, Elvis Grey, and Galaxy (not the TV) – the one who sang SEKEM, are on the music line-up. 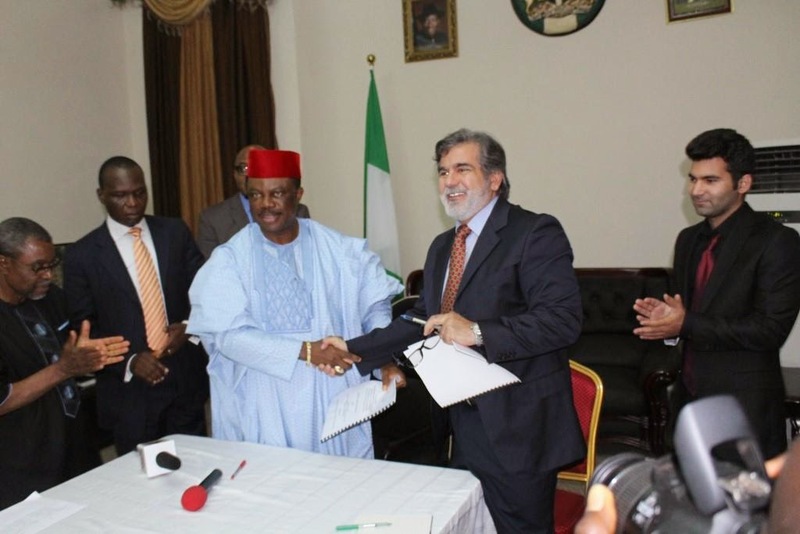 Anambra State Governor, Chief Willie Obiano today signed the contract for the modernization and digitization of the Anambra Broadcasting Service, ABS. Speaking during the signing ceremony at Governor's Lodge, Amawbia, the State Chief Executive said the contract signing ceremony was in fulfilment of his promise to Ndi Anambra to deliver a brand new broadcast organization with complete modern equipment. 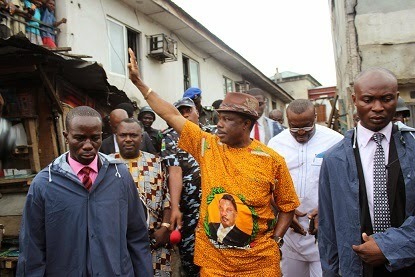 But for the hindsight of Anambra State governor, Chief Willie Obiano, traders and families with shops and goods at the multi billion naira Onitsha Main Market, the biggest market in West African sub-region would have been in anguish if government had not provided functional firefighting equipment to forestall such fire outbreak. Following Governor Willie Obiano recent handover of three armoured personnel carriers to Anambra State Police Command to boost crime fighting in the State, the Catholic Bishop of Awka Diocese, His Lordship Most Rev. Dr. Paulinus Chukwuemeka Ezeokafor has extolled the Governor for the way and manner he has handle the issue of insecurity in Anambra, saying that no meaningful development could take place in an insecure environment. 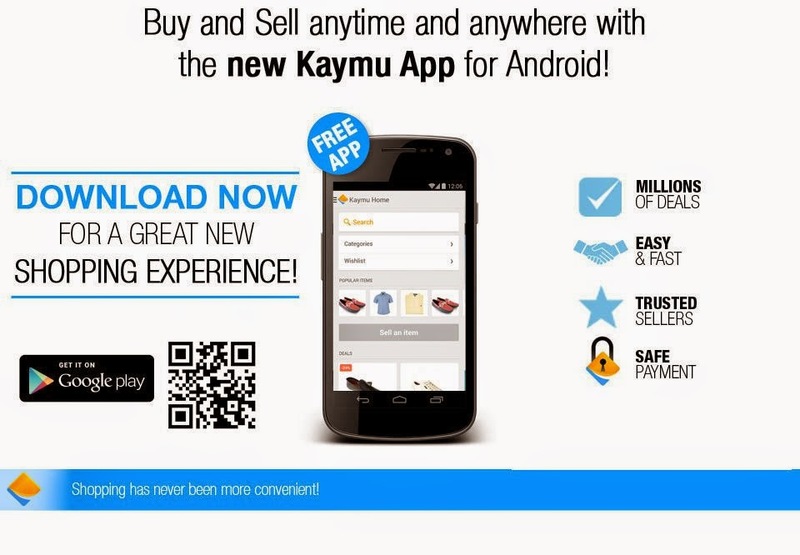 Dangote Industries Limited, one of Africa’s largest business conglomerates, is sponsoring the prestigious ‘Facetime’ segment on CNN Marketplace Africa, CNN International’s show that offers a unique window into African business. The National President of the Nigeria Civil Service Union, Comrade Kiri Shuaibu has charged newly elected exco in Anambra state to take full implementation of the enhance civil service wage as priority in the discharge of their duty. It is now against the law to sell gun powder and other explosives in Anambra market , so says Governor Willie Obiano of Anambra state. The Word of Life Bible Church, Warri, Delta, on Tuesday confirmed holding a residual interest in the embattled Bombardier Challenger 600 with registration number N808HG owned by Eagle Air company. This is contained in a statement by Mr Bayo Adewoye, Personal Assistant to the founder of the World of Life Bible Church, Pastor Ayo Oritsejafor, in Warri. Sixty-seven South Africans have been killed and scores injured in the collapse of a building in the compound of a Lagos Pentecostal church last week, South Africa's President Jacob Zuma said. 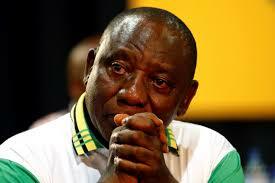 "This is a particularly difficult time for South Africa. Not in the recent history of our country have we had this large number of our people die in one incident outside the country," Zuma said in a statement on Tuesday. "The whole nation shares the pain of the mothers, fathers, daughters and sons who have lost their loved ones." 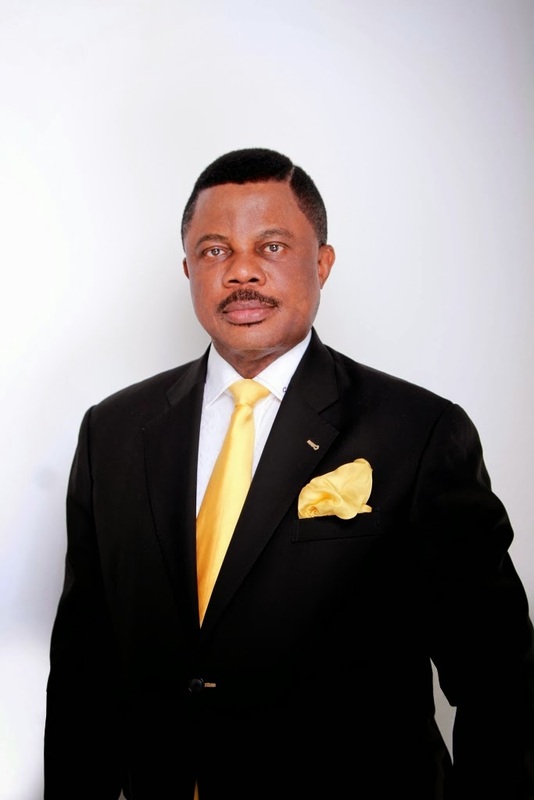 A non-governmental group called Anambra Watch has sent a petition to Nigeria’s Chief Justice, Aloma Miriam Mukthar, accusing Governor Willie Obiano of Anambra State of using a front to offer bribes to Supreme Court justices who will be determining several appeals arising from the November 16, 2013 governorship election. I have tried on many occasions to get to your attention many things that are going good and those going wrong but all my messages never get response ,so I believe that it will be better if I start doing it this way ,perhaps it will get to you, after all kedu ife ana acho na ike ite na abughi azu ,what matters is for the message sent through smoke to reach sky. His Excellency Sir, there is something that is going wrong , it is so wrong that if not checked ,nke bu aru ga eme which we did not bargain for . The general public is hereby warned of the activities of a shadowy character that has recently created fake Facebook account with the name of the governor of Anambra State, Chief Willie Obiano. 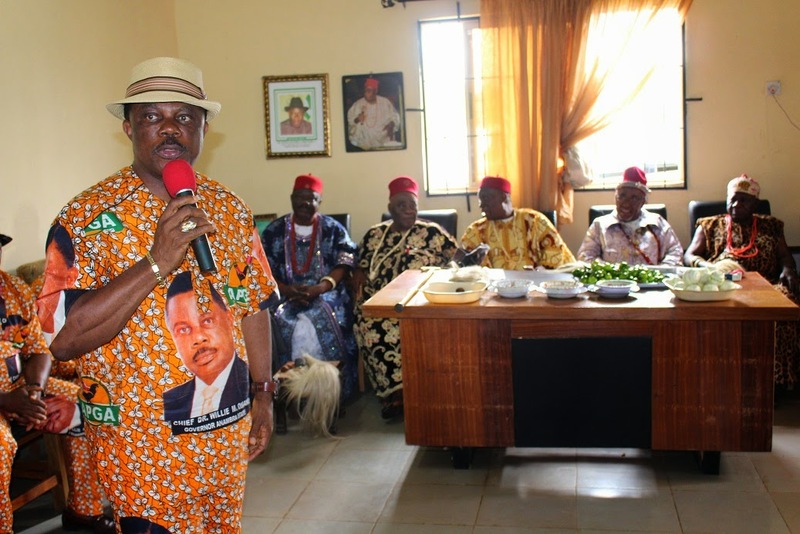 As part of his on-going efforts to deepen the democratic process and engender an inclusive administration, the governor of Anambra State, Chief Willie Obiano has embarked on extensive consultation with royal fathers and community and opinion leaders in and outside the state, holding fruitful meetings with traditional rulers at the weekend to carve out a faster footpath for accelerated development of the state. Anambra State Deputy Governor, Dr. Nkem Okeke, an Economist this afternoon addressed a large audience at the Medgar Evers College of the City University of New York (CUNY) system, in Booklyn NY on the mission and vision of the Governor Willie Obiano’s administration as well as all that which made Anambra an ‘A’ state in Nigeria. There is tension at Sun City hotel now as the Civil Service Union elects new executives but report reaching us could not immediately fathom why the near crisis situation. 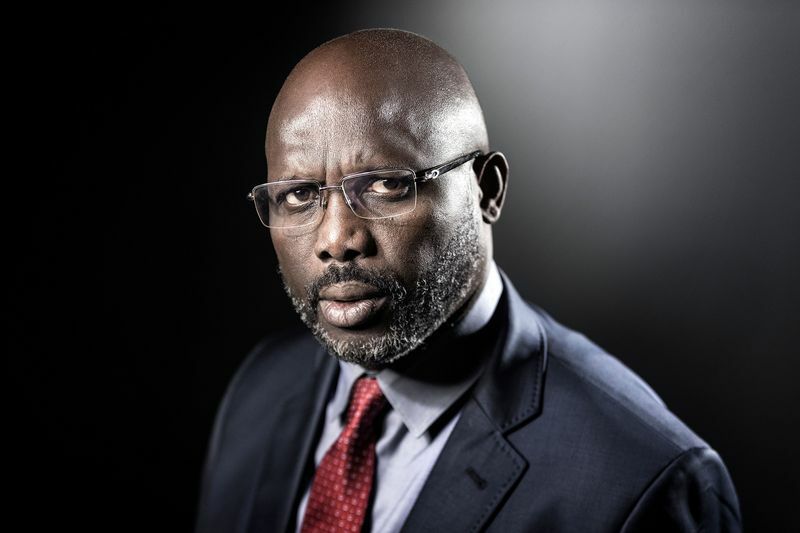 Immediately that is obtained would keep you posted but rumours had it that the man conducting the election had not conducted his own union that is overdue only to come to conduct for them……………………. There is tension at Sun City hotel now as the Civil Service Union elects new executives but report reaching us could not immediately fathom why the near crisis situation. The worst us yet to be heard about the building collapse at TB Joshua’s synagogue church of All Nations. Reports had it that the Nigerian preacher and televangelist TB Joshua on Sunday linked a deadly building collapse at his Lagos megachurch to a suspicious aircraft but rescue workers ruled out the theory of foul play. Hundreds of protesting women thronged the market square of Eke-Awka, chanting war songs, and calling on one Christain Igwebuike Chinwuko (a.k.a) Nze Chinwuko to desist from the act of parading himself as the newly appointed caretaker chairman of the market and to step down for their duly elected chairman of the market in the interest of peace in the community.